Alexander County was created in 1847. 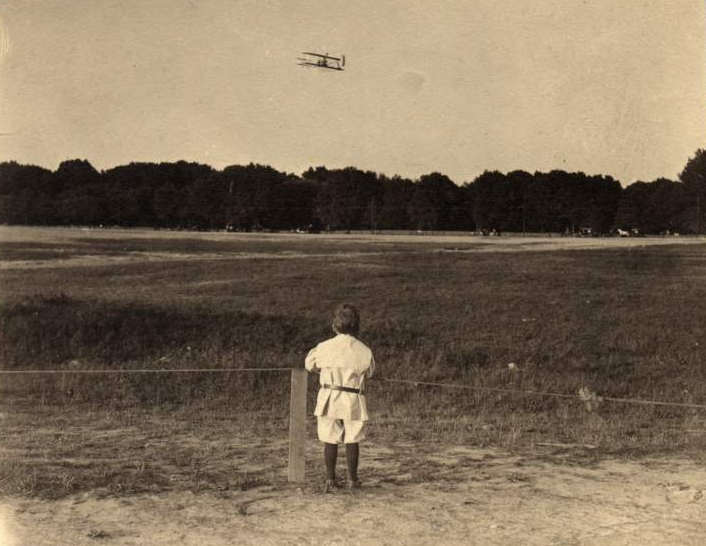 It was renamed Arlington in 1920 to avoid confusion with the independent city of Alexandria. 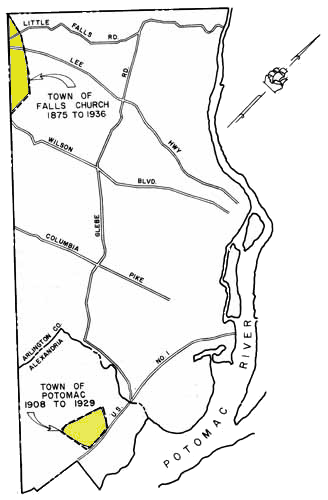 The land within Alexandria County had been part of Fairfax County until 1800. 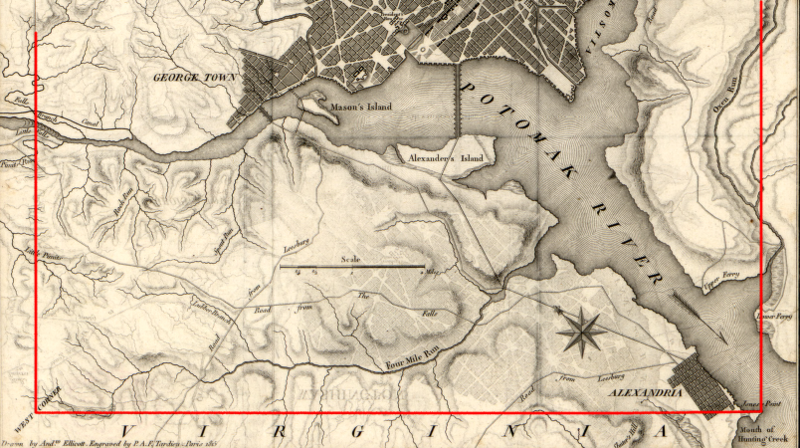 Virginia ceded the territory to the Federal government, implementing part of the bargain made in 1790 to move the national capital to the Potomac River. The cession forced Fairfax County to move its courthouse from the town of Alexandria, leading to the development further inland of what is now the City of Fairfax. 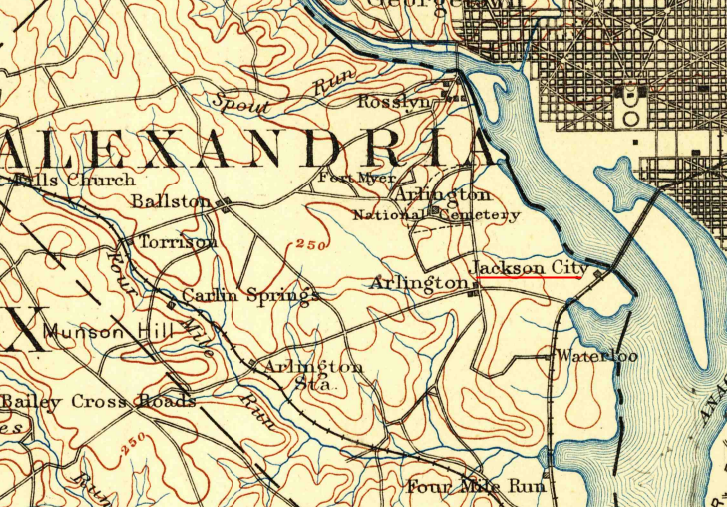 While part of the District of Columbia, the former Virginia territory was called Alexandria County. 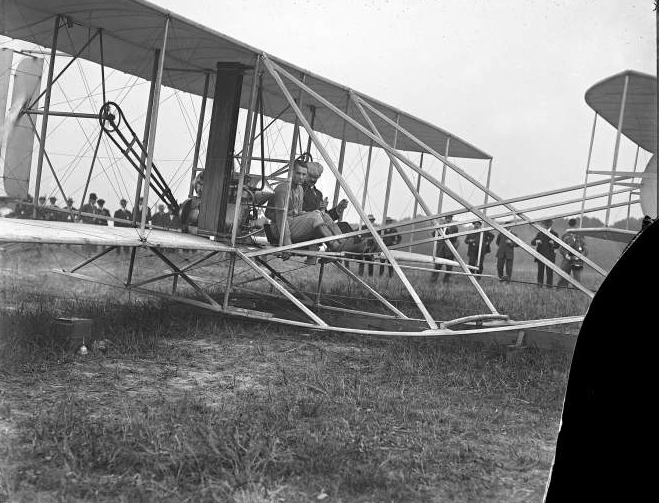 The Federal government built all of its public buildings north of the Potomac River, and the Alexandria area received few benefits from being part of the District of Columbia. Virginia did not fund public improvements either, since Alexandria County was not within the state's boundaries. In 1847, the territory was retroceded back to Virginia. 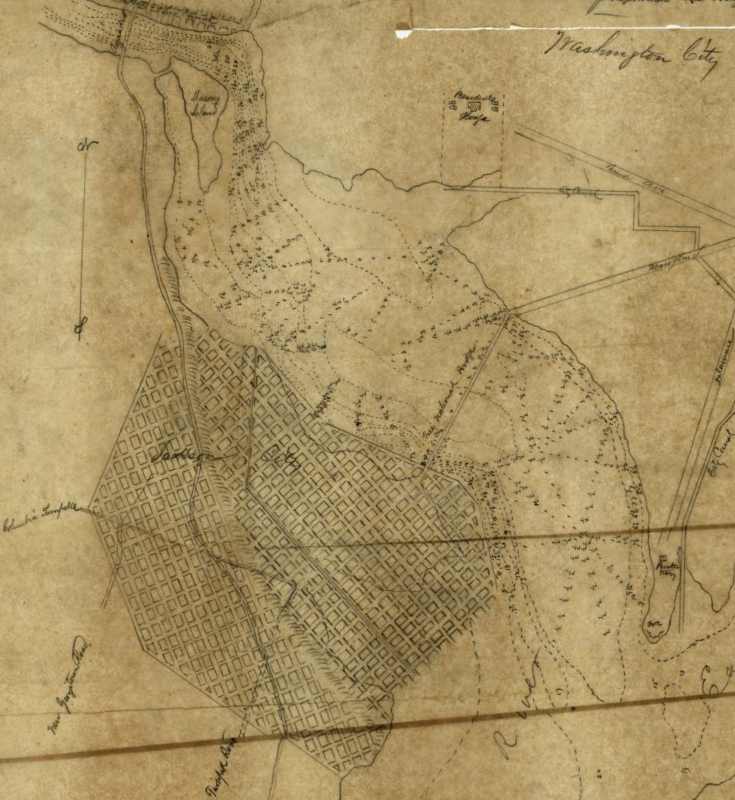 Alexandria merchants were finally able to get support from Virginia's Bureau of Public Works to finance turnpikes, canals, and railroads. 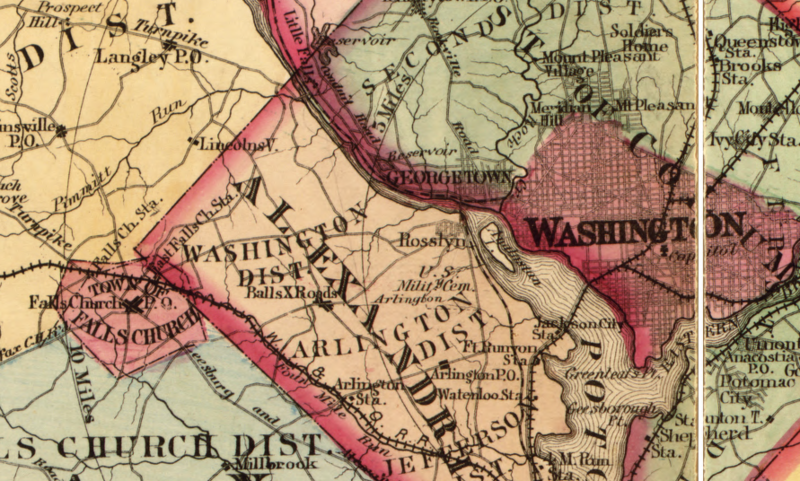 When the US Congress abolished the slave trade in the District of Columbia as part of the Compromise of 1850, Alexandria County was no longer part of the District. During the 1850's, the town of Alexandria developed as a major center for the slave-trading business. 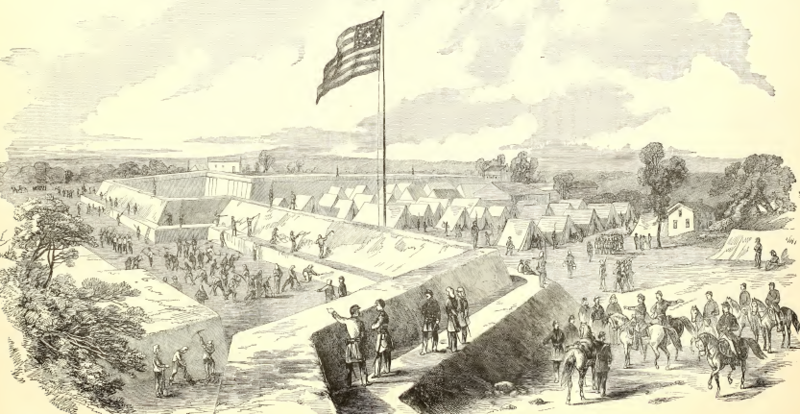 During the Civil War, Alexandria County was occupied by Union troops. The Union governor of the Restored State of Virginia, Francis Pierpont, brought the state capital to Alexandria between 1863-1865. 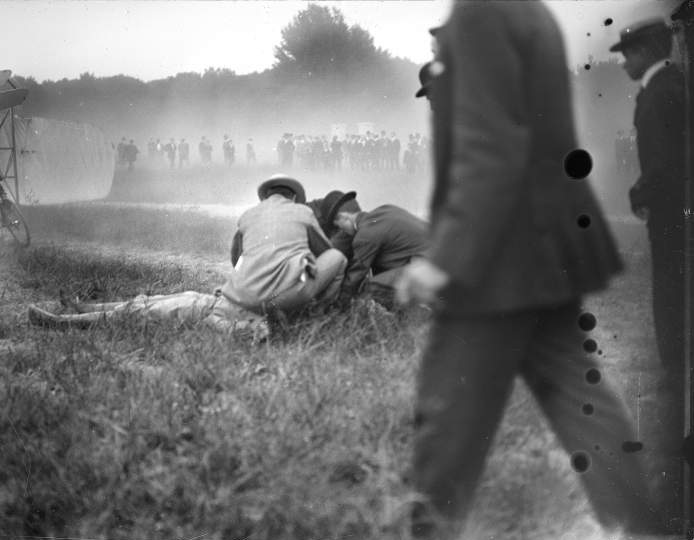 After the Civil War, the US Congress began restricting gambling and prostitution operations in the District of Columbia. 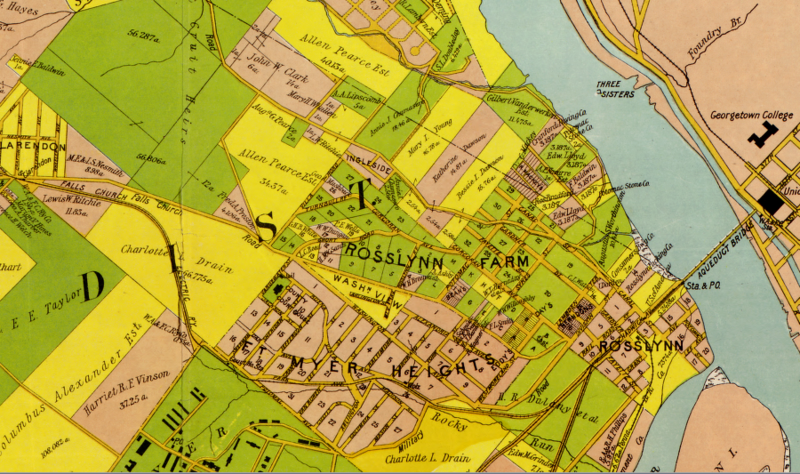 The vice trade simply moved across the Long Bridge to Jackson City and the Rosslyn area in Alexandria County. 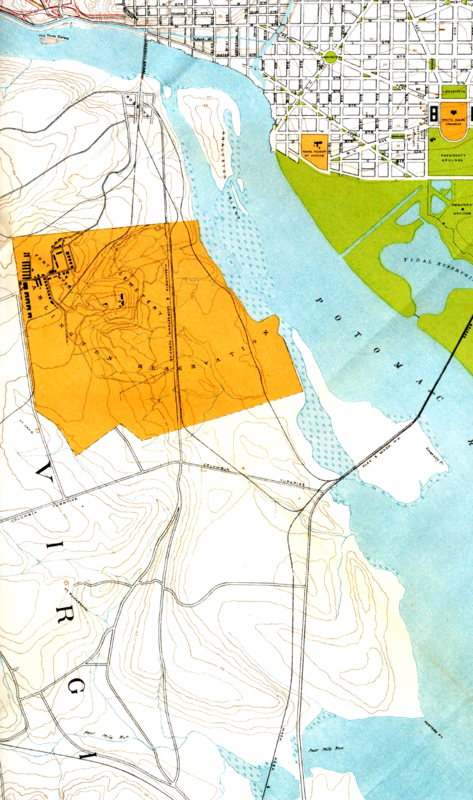 That side of the Potomac River was outside Federal jurisdiction. Sheriff Veitch and several deputies drove up the road in carriages and left their vehicles not far from one of the notorious gambling dens. No significance was attached to his appearance, as the county officers are about there every day and have not troubled the places for months. 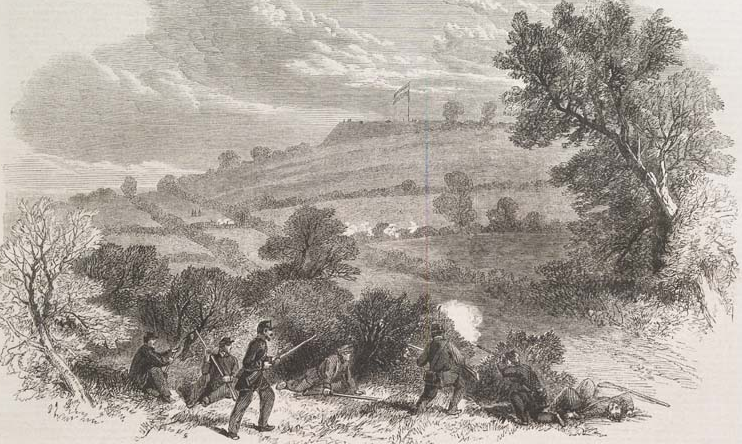 ...Yesterday afternoon after the raid as made business was suspended about the place for fully fifteen minutes, for the officers remained there that length of time. After that the doors were opened, and when night came on the salooons were brightly lighted up and business flourished as usual. 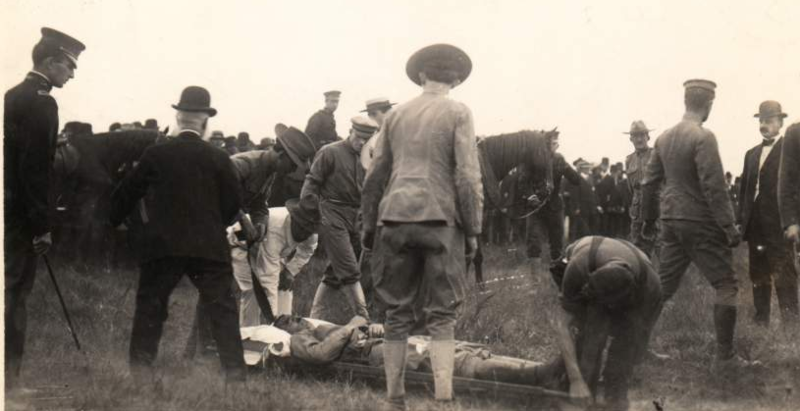 The Alexander Island racetrack offered gambling on horses between 1895-97, while the St. Asaph racetrack closer to the town of Alexandria managed to stay a gambling den for another decade. After the 1869 state constitution was adopted, cities were treated as independent jurisdictions, separate from adjacent counties. 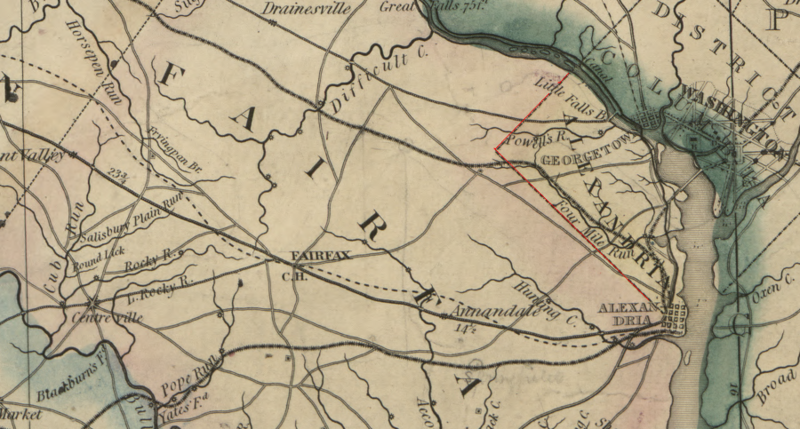 The original boundaries of Alexadria County, after retrocession in 1847, mached the straight lines surveyed for the creation of the District of Columbia. 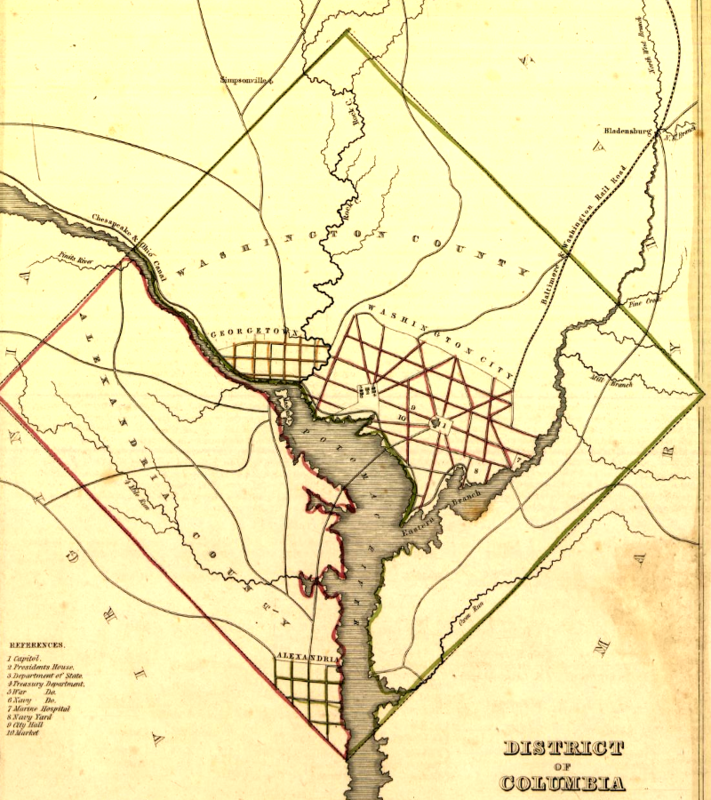 Subsequent annexations by the City of Alexandria have altered the original straight lines, creating the shape of Arlington County today. 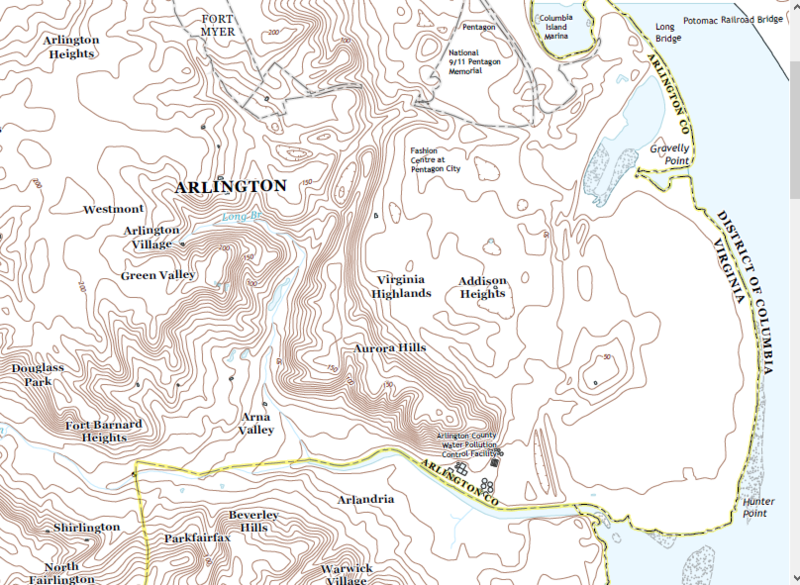 Arlington County renamed its streets in 1934, after the Postal Service mandated elimination of duplicate names before it would designate a postmaster in the county and deliver to "Arlinton, Virginia" addresses. Nonetheless, in 1941, the Post Office gave the new Pentagon building in Arlington a mailing address of "Washington, DC." 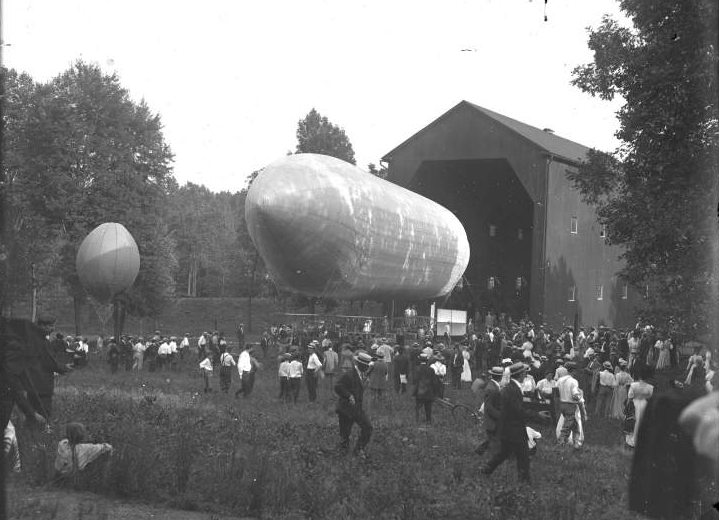 Source: Smithsonian Institution, Events, 1908, Fort Myer (VA), US Army (Baldwin) Airship "Signal Corps No. 1"